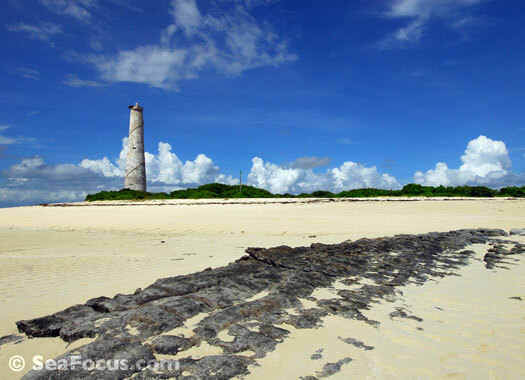 Located in the Quirimbas Archipelago, north of the city of Pemba. 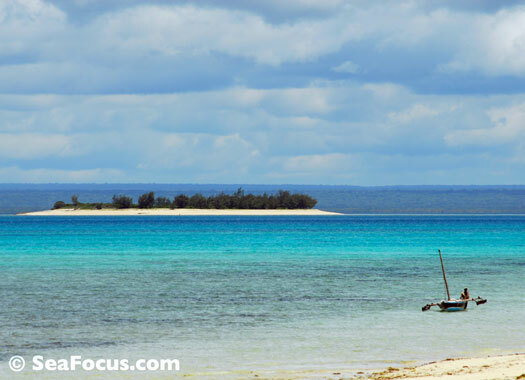 Transfer time from Pemba airport is around 40 minutes in a light aircraft. Only small, you can walk around Medjumbe easily in half an hour. 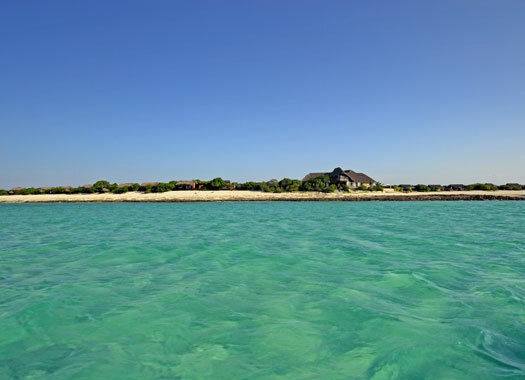 The resort takes up the whole island, the airstrip hugs the southern side and a couple of minutes wander from that through low-lying vegetation takes you to the north and the main building and bungalows. Each guest room is a detached wooden cabin that is hidden from it's neighbour by being strategically placed between local plants. All the cabins – only 13 – are entered from the rear and face the utterly beautiful, turquoise and blue lagoon. The cabins are stunning, not the largest or most sumptuous you will ever see in your life but they have achieved something quite magical – a perfect balance between a casual style and luxurious touches. Decoration is faintly African, faintly Arabian and charming. 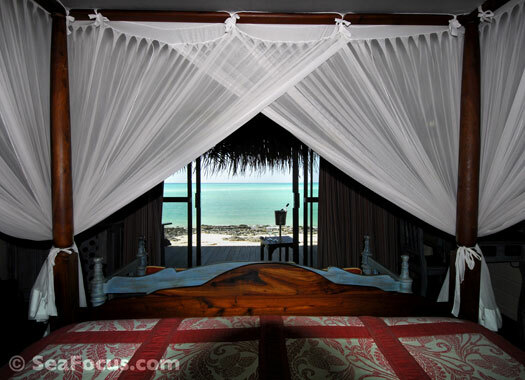 A four poster bed faces the glass doors and a deck over pure white sand. You can sit in bed with your first coffee of the day and watch the herons and egrets wander up the beach and onto your steps. There's a well-equipped bathroom inside and outside on the deck is another shower for rinsing and a small jacuzzi for lazing. 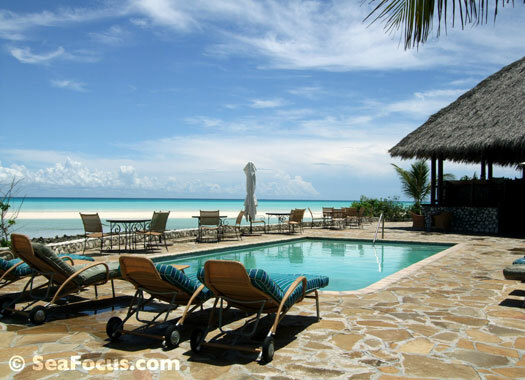 Medjumbe is an all-inclusive resort, all meals and drinks are included, so it's not a place to go and think you will lose weight. The chef was outstanding – we had meals here like we have never tasted even in some of the best restaurants across the world. The cooking style was far beyond cordon bleu. 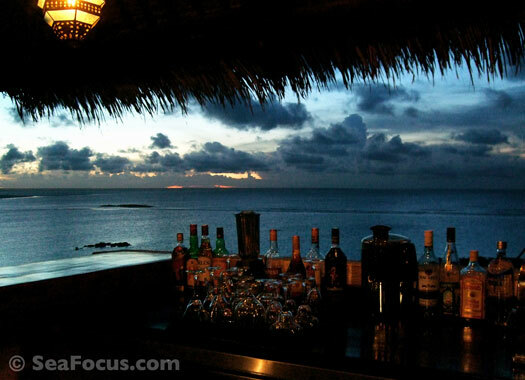 The small bar area was cooled by sea breezes and the barman was a star, remembering from day one that Shaun has a nut allergy and would wash his hands every time he poured nuts out for other guests. Our favourite moment though was the evening he disappeared to the kitchen and returned with a beautifully presented, cooked whole lobster, sat it in front of us and said "bar snacks". Top marks. Apart from food, the only entertainment on the island is to do with the water and the birds and there are plenty of those. 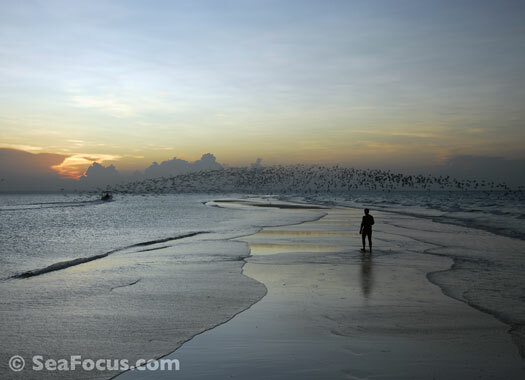 Herons, egrets, weaver birds and many other species are resident here so the island attracts as many bird enthusiasts as divers. 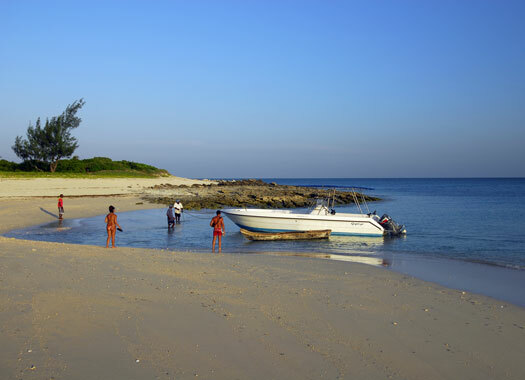 Scuba diving is still a developing sport in Mozambique and especially so in this northern region. There is a lot of potential and no doubt a lot more to be discovered with more exploration but we were unable to do as much diving as we hoped from Medjumbe due to both some natural and man-made issues. The island is surrounded by a very shallow lagoon and this means that once the tide goes out, it disappears a long way into the distance. 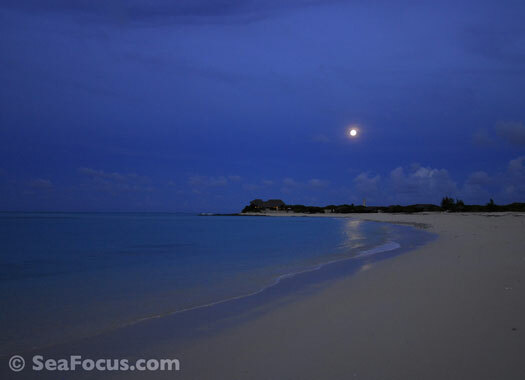 Also, there is no jetty and no way to get the dive boat off the gorgeous white sand once the sea has retreated. 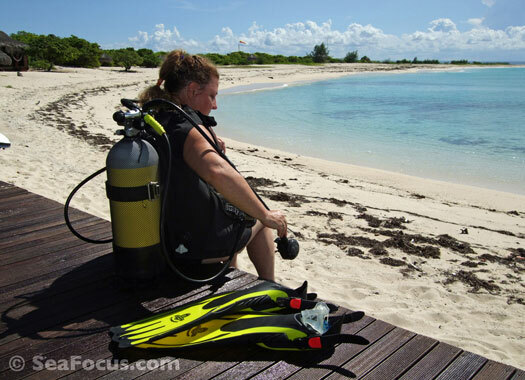 While this is a great excuse to laze in the bar or walk around the island, it can limit the number of dives is a day. Despite that, this has to be oe of the most delightful island resorts we have ever been to so it's back to the bar... and the bird watching. A new divemaster has joined Medjumbe. 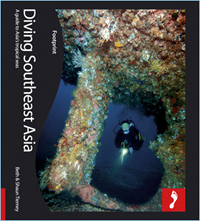 There has been more research on the surrrounding reefs and some new dive sites discovered.